No, they do not know who Doug Oliver is. Some of them don’t even know its an election year, let alone the names of the candidates. Some of them are drunk to the point of speechlessness. Some just want you to know that C is the largest letter in the alphabet. But neither are those problems that couldn’t be found in the city’s homes. Meanwhile there are others — homeless and formerly homeless — who are sober and deep in the struggle. They want to partake in democracy and for their voices to be heard. They have names. They have stories. And they have questions for the next mayor of Philadelphia if anyone will ask them. “Here I am, an old man,” he said. William’s family is originally from Georgia. He moved up here more than five years ago to work in a furniture store in the Northeast, but then he had a major stroke, the company went belly-up, and he couldn’t collect unemployment. He sleeps in Suburban Station, sometimes Market East. On subzero nights, he said, the police let him and other homeless persons sleep on the unused tracks. But three nights a week on average, a SEPTA Transit officer will wake him up around 4 a.m. and tell him to get out of the station. When asked why he doesn’t go to the shelters, he cited numerous bad experiences of younger men taking advantage of, and stealing from, the older men. 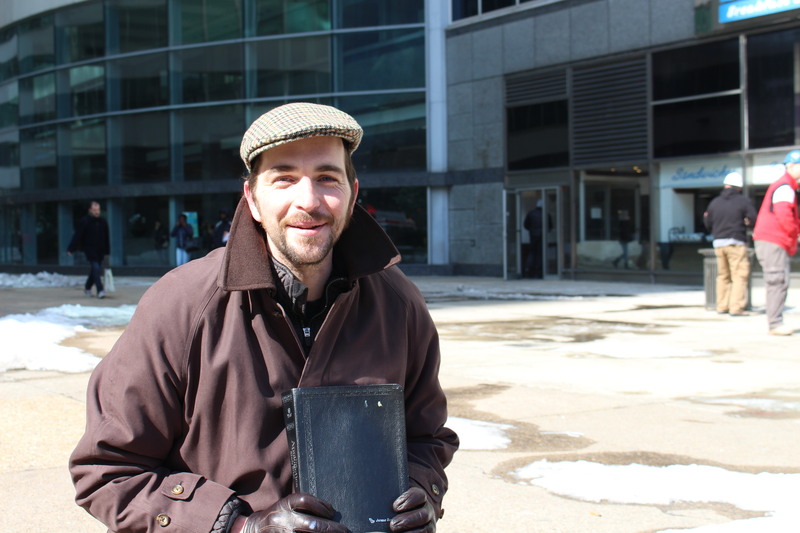 William added that he is a registered democrat who has voted twice in Philadelphia. He believes in voting. 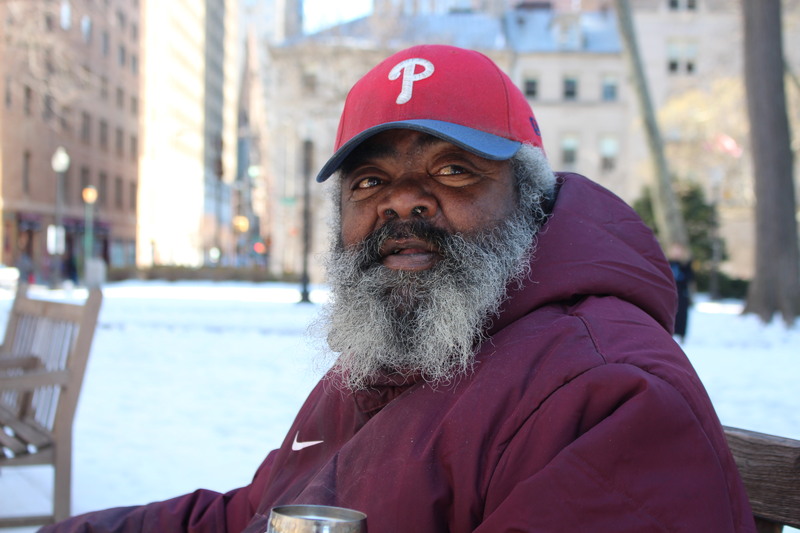 But he doesn’t understand how he moved to Philadelphia to pay one of the highest wage taxes in the country, and yet when he ended up jobless, homeless, and with a medical condition, he felt there was no one there to help. Tauliba was outraged at a story she read in the Metro last week, which tried to make a moral case against giving money to the homeless. The article makes its claim and then gets a few quotes to corroborate the point that, even though they sometimes do need money for food, homeless people are likely drug-addicts and alcoholics at the end of the day. Nothing is going to get done if we keep closed mouths and closed hearts. Her request for the next mayor? Increased access to information. Tauliba also believes there should be more people on the streets informing the homeless first hand about what they can do. She says there need to be more programs for men — from literacy to house placement to job-training. And she also says the city needs to reexamine how these social welfare programs work, because even homeless people don’t want to spend half of their lives in a waiting room with no guarantee of help. Repeal the ban on feeding the homeless. 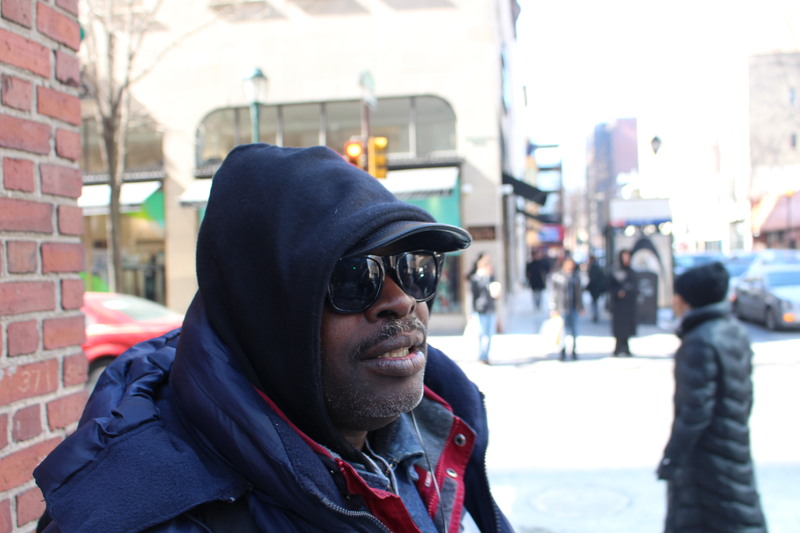 – Jerame Bohman Jerame collects money in Center City — but not for himself. He panhandles for others, guided by memories of hunger. 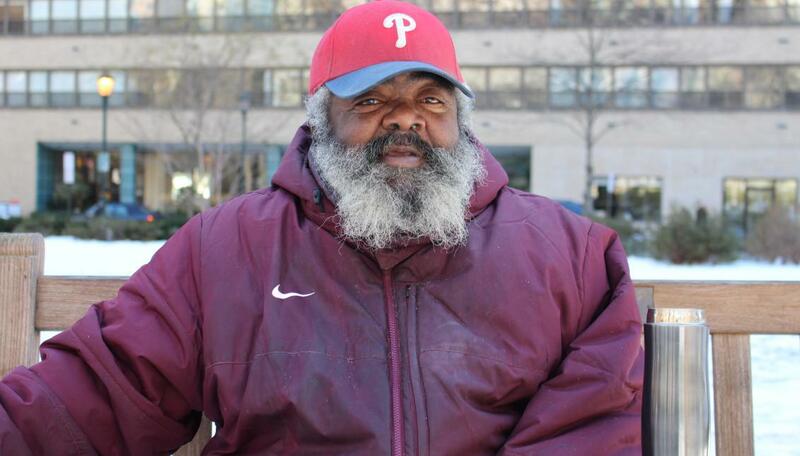 In 1994, his mother fled an abusive boyfriend in Tennessee and came to Philly with her two sons. They survived for months in a cramped ’79 Cadillac, begging for money on Bustleton Avenue and Red Lion Road in the Northeast. He remembers nights sweating next to his brother in the back of the car. It was the generosity strangers poured out that allowed them to get an apartment in the Mayfair neighborhood, and Jerame, now in his mid-30s, is trying to pay that kindness forward. He plans on going back to school to complete his culinary degree, and to keep the food coming for the city. For the next mayor of Philadelphia, he has a clear message. December 20, 2014, Stephen walked away from a 20-year sentence in an upstate prison and went right to being homeless. Yes, he was convicted of manslaughter as a young man. He’s honest about that. And now, he’s a tired old ex-con with gray-flecked hair asking for donations on the street. His only surviving family member, his brother, is doing life. If you see a homeless person sleeping outside in dangerously low temperatures, please call the Project H.O.M.E. Homeless Outreach Hotline: 215-232-1984.